Another widebodied Q4 breaks cover in the UK. 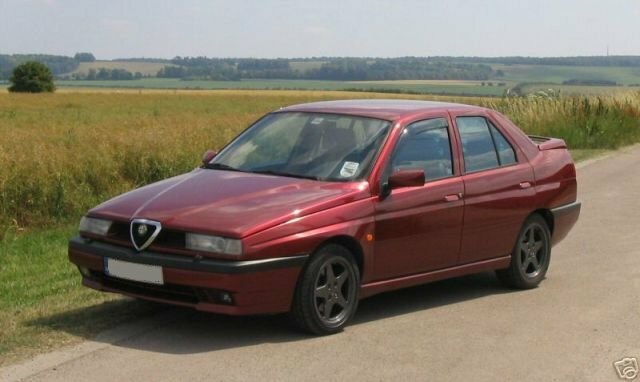 Its in proteo red and the owner has only just taken delivery of it. 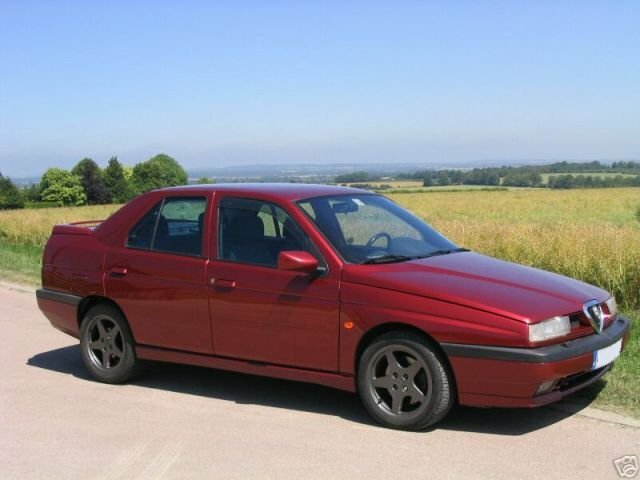 The car is a 1996 widebody with the sportspack rear spoiler and 16" Speedline alloys in Anthracite grey. 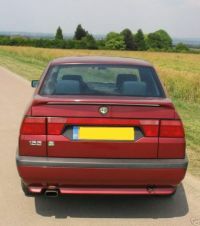 The car was imported into the UK in 1998. 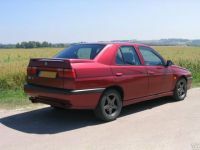 Being a widebodied car it comes with the standard 16v interior, not the horrible half leatherette seating of the skinnies, and only the front windows are electric. 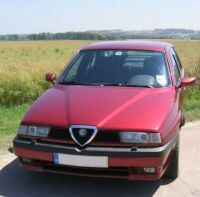 It does come with Air-con, which seems to be a hit and miss option on the later cars. And the suspension has standard dampers not the uber-expensive electronic ones. 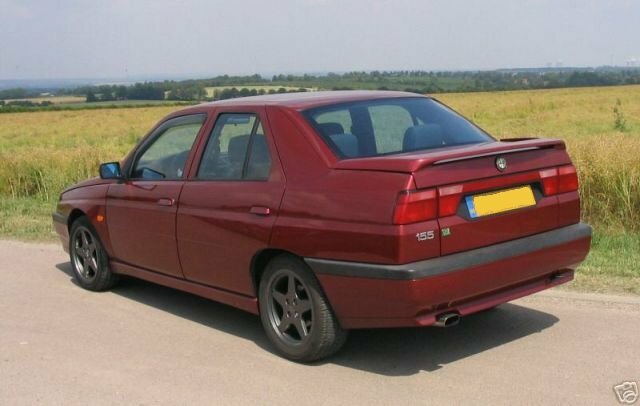 At 60k miles the engine was replaced by Tanc Barret (out of interest does anyone still have the original engine in their Q4?) and at the same time the standard turbo was replaced by a hybrid unit. The new owner is trying to discover the brand of brakes being used, being groved disks they are obviously aftermarket ones. A Sparco strut brace has been ordered for the car and should be fitted sometime soon, which should help with steering feel and front end response. The bodywork of the car has a few blemishes and carpark scars which the owner is going to be sorting out, and the engine needs a good clean to bring it up to the high standard of the rest of the car. It should look and drive even better when all of these things are completed. Although it looks pretty damn good already.